Is hiring a housekeeper the right option for you? In the United States, almost 67 percent of women and 86 percent of men work over 40 hours every week. Compared to British workers, Americans work 260 hours more per year, and compared to French workers, Americans work 499 hours more per year. In addition to working longer hours than most other others, the United States is one of the only countries in the industrialized world that does not have any federal laws that require companies to provide sick time or vacation time to employees. #1. You never have time to thoroughly clean. For many of us, cleaning on the weekend consists of mostly surface cleaning, like doing the dishes, picking up the living room and vacuuming. Although this may make your home feel cleaner, the likelihood is high that your home could use a deep cleaning. Take a moment to really think about the last time you cleaned your home on a deeper level. Can’t remember? Hire a housekeeper. #2. You don’t have any time to yourself. Between your family, your job, your pets and everything else you have going on, finding leisure time can be a challenge. No one wants to spend the few minutes of leisure time they do have cleaning the house. Even if you only take advantage of our residential cleaning surfaces once or twice a week, it can free up a lot more of your time for relaxation and fun. #3. Your chores are starting to pile up. When you are busy with everything else going on in your life, your chores naturally get pushed down to the bottom of your to-do list. However, if you put them off for too long, they can really start to pile up. If your to-do list has gotten so large that it is starting to overwhelm you and stress you out, it’s time to hire someone to help you check a few items off! #4. You work overtime every week. Are you among those men and women who regularly put in over 40 hours every single week? If so, it’s time to hire a housekeeper. There’s no way you can juggle overtime with everything else you have going on and keep your house clean and comfortable at the same time. Take some stress out of your life by hiring a housekeeper! #5. Your home is too dirty for comfort. Do you find yourself constantly being disgusted by the state of your home? Do you avoid inviting people over because you are too embarrassed by how dirty your home is? You don’t have to live that way! 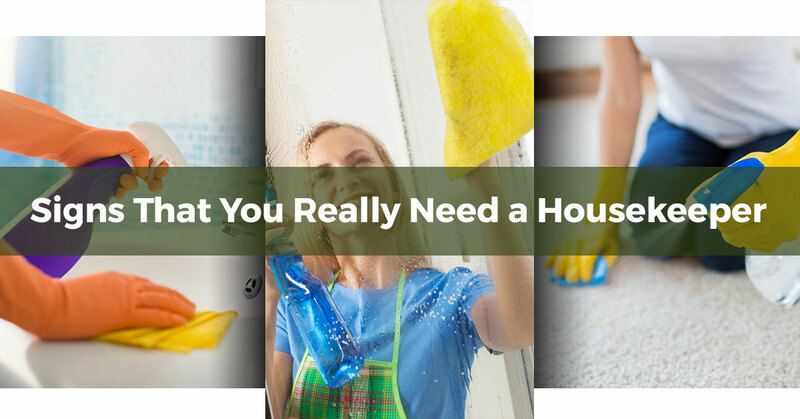 Hiring a housekeeper is much more affordable than you might think, and they can ensure that everything from the floors to the windows is sparkling clean. Are you ready to enjoy the difference that CalMaids can make in your home? Visit us online to learn more about our residential cleaning services in Los Gatos!